Earlier this year we brought you the rumour that Nintendo was planning to release New Super Mario Bros on the Nvidia Shield in China. 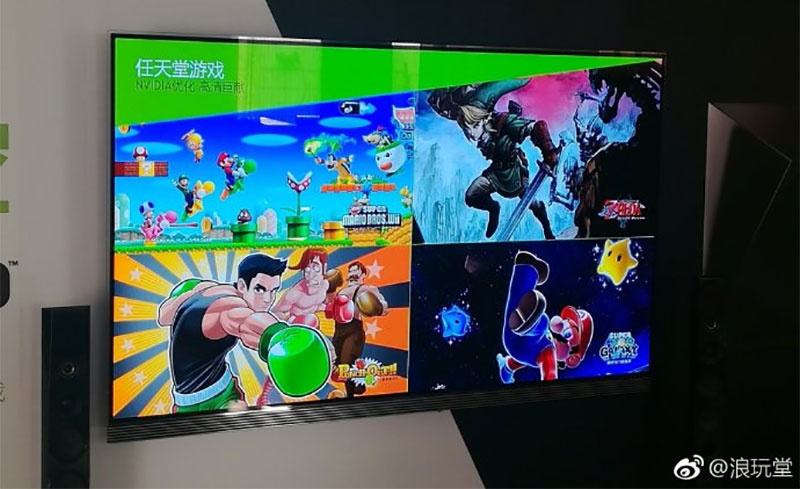 Given how difficult it is to sell consoles in China, it would appear that Nintendo is using smart devices like the Nvidia Shield to crack the market and sell its games. Naturally with the Nvidia Shield being a Android tablet, it will likely only be a matter of time until these games get side-loaded on to other Android-based devices so it makes sense to enter the market cautiously with ports of older Wii games. Of course, the games will be remastered in HD for this release. According to industry insider Daniel Ahmad - who has been closely following developments - it appears to be a deal between Chinese distribution company iQiyi, along with Nintendo and Nvidia. Would you like to see these HD remastered ports on the Switch at some point? Let us know what you think about China getting official releases of some classic Nintendo games with a comment below. Wouldn't mind seeing a few of the wii game come to the Switch. Is water wet? Galaxy in a HD remaster? Would be mad to not want that. I wonder if this was a deal struck with Nvidia to lower the cost of the Tegra when the Switch was being developed. Super Mario Galaxy on Switch, yes please! There's your Virtual Console, guys. Punch-Out Wii in HD on the go would be an absolute dream. Solid candidate for my favorite Wii game right there. How would these games work without their motion controls? Punch Out especially would be odd. I'm pretty sure they're just upscaled emulations not HD remasters. I will say though if they release an upscaled version of the Wii Twilight Princess on Switch instead of a port of Twilight Princess HD I will likely hurt some people. Also can we talk about how freaking China gets an HD remaster of Galaxy before the rest of the world? How is that fair?! @AlternateButtons They will likely have Wii Remote support, that or Nvidia will create a shield motion controller. Zero chance of them not having motion. @AlternateButtons Come to think of it, could the little remote thing in the top right picture in the article be the motion controller? Or is that some media remote the shield already has? @McHaggis Genius if so. Lets Nintendo and Nvidia break China without affecting Nintendo's hardware sales anywhere else. Get Nvidia to help on emulation which helps with Switch VC and HD Wii games. Gets Nintendo games out in China which could help market the switch to the millions of potential gamers there without Nintendo history. Everyone could win from that deal in several ways! 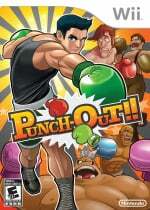 @AlternateButtons Literally no one plays Punch-Out with motion controls. Not if they want to win. @PorllM It could be. Though I wonder if the control setup would be suitable for Wii games. The Wii had a very specific button layout. I wonder if they've been modified to work with buttons. I could see them doing that, ala Twilight Princess HD. Yes please make it happen Nintendo!!! That's kinda weird, having Nintendo games on a non-Nintendo platform. One step closer to Mario on PlayStation ? 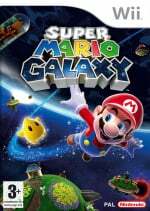 I would love Mario Galaxy on Switch, I was a little bit let down by Odyssey. Thankfully, BOTW is the best game I've ever played on a handheld. This is curious, if they're using a form of emulation then that could be reverse-engineered or peeked at to see how Dolphin emulator could be improved for Android devices, or in general. Or if they're straight-up recompiled for Android devices, that's interesting on its own. Would love for them to port these titles to Switch as well, especially the Galaxy games. An HD port of Xenoblade Chronciles would be nothing to sneeze at Not sure I need yet another release of TP or Galaxy though. I mean, feel free to bring it to the Switch, but don't necessarily expect me to pick them up - although, at the end it all depends on the price. I want Twilight Princess and Super Mario Galaxy on Switch for sure. I Don't care about Punch out. New Super Mario Bros is somewhere in the middle. I would buy an HD remaster of Mario Galaxy not only the day it releases but the HOUR. Twilight Princess and NSMBs too, happily. Where do I sign up? These 2 Ns have a contract with each other: Nintendo makes the software, Nvidia makes the hardware. It's branded as Switch in first world and branded as Shield in the third world. That's some pretty ace games. Pretty sure that the interested chinese already found a way to play them, however. All the young chinese I've met are pretty tech savvy. @Dev I think you could just remap the waggle in Galaxy to a button press and the Wii Remote pointing portion could either be done with gyro controls or just using a finger on the touch screen (or a bit of both). 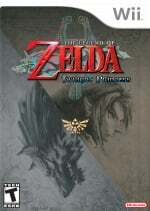 Twilight Princess is most likely the GameCube version, and not the Wii version. @McHaggis Probably, wouldn't be a first kind of, remember the Philips CDI and the notorious Hotel Mario and 3 Zelda titles? They've let their IP be on another system before long ago as a deal with a hardware maker. @MarcelRguez Really? The motion controls were hot garbage. I couldn't do much with them since it never liked to really keep up with the moves, hence why wii motion plus happened. 99% of the time I had on Punchout was using buttons. And why are we worrying about motion control, the Joycons are like Wii mote+nunchuk 2.0 anyway. And me here with my Shield tablet, seems I'll be able to play these some way. Your move Nintendo. If I can't have these on Switch, then I certainly wouldn't mind downloading them to my shield tablet. Hopefully I'll be able to play these gems portably. One way or the other. This is sickening...because these are ports of official Nintendo games...on a unofficial portable device! I can't see Nintendo doing a great job on those HD remasters though. It will probably just be semi-HD, rather cheap. It sure would be nice to have classics on the switch. RIP Nintendo, already a third party on China. 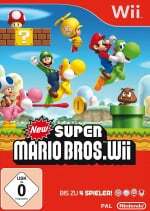 IMO the best 3D Mario game ever made, officially in HD? My money is here if Nintendo wants it. I would easily repurchase each of these if they came to Switch or NVidia Shield (I have both). Well, there you go haters. Nintendo is going 3rd party. Zelda fan that I am, we already have Twilight Princess HD on the Wii; I wouldn't mind seeing it make it to the Switch eventually, but I feel like it's a bit soon for that. The others, particularly Galaxy, are completely welcome. That may be, and the Nvidia shield shares the same architecture and chips as the Switch. But its NOT a Nintendo device. Its a Nvidia device. Its the same as if Nintendo would dump their old console games on the i-store or the XboxOne! @Henmii Yes it's not a Nintendo device, however, given that Nintendo can't publish devices in China, it may become their official platform there. In fact, it already seems to be headed that way. Good, Twilight Princess needed to be remade in HD again. Still waiting for that VR version, however. It will not be emulation, but a full chinese port of Wii/Gamecube games on the Nvidia Shield. Looking at the video in the official website below, you can see that for Zelda Twilight Princess, the controls are mapped onto the shield's controllers. Be interesting to see how well Wiimote and nunchuk controls can be mapped to the Joycons if at all should they decide to bring these HD versions to Switch. And what a seller too. A Switch VC where the GC and Wii stuff get a HD polish? Yes please! I never actually played any of the zelda games for wii so hopefully they will come to switch! -That remote in the photos is the standard Shield remote, it does not have motion controls. -The games will have to work without motion controls, there's no way they would make them rely on the old Wiimote, let alone the problem of where the hell you'd plug in the Wii IR receiver. -The Shield is great, I'd love to get at least NSMB on my Shield. The article refers to it as being a tablet, but the pictures show the Shield TV. It is the TV box that has the Tegra X1 like the Switch. The Shield Tablet runs on an older architecture. But Nintendo did have that strange console in the past in China, what was it called again? It was a strange-looking N64 controller and you could download N64 games on it. Of course the situation could have changed in China, maybe they aren't that "open" anymore. Either way, Nintendo is always cautious regarding other Asian countries because they pirate the heck out of stuff. Now they enter Korea, and China again (courtesy of Nvidia-shield) they take a huge risk. Would love to hear though from this site how those Nvidia ports perform and how much they cost (I presume they make it very cheap for China). On the other hand: Switch and the Switch-games may be super expensive in Korea (even more so then here, can you imagine? ), because all I hear is that South-Koreans have money to spend (probably not everyone though). @Henmii That was the IQue player, and it was manufactured by IQue, not Nintendo. Which is the exact point I'm trying to make. Nintendo has been licensing their games for use in China for decades, this isn't new. lmfao at this. you have nintendo as part of your web url and yet you have not the slightest clue about the switch or the shield lmfao. first off these games are coming to the SHIELD TV not the tablet, the tablet is k1 the shield tv is x1. The switch uses the same hardware as the shield tv. Jesus Christ fact check before posting, no one wants misinformation. These games will be 100% exclusive to the tegra x1, there are no hopes of running it on your shield tablet, no chance of running it on your smart phones etc. NVIDIA SHIELD TV & NINTENDO SWITCH EXCLUSIVE. Also as far as motion controls go, there is such a thing, hook it up to the shield usb, use dolphin emulator and wii controllers, boom motion controls. Okay, I didn't know that. I thought Nintendo made it themselves. Anyway, Nintendo should make their own consoles there, but that probably isn't possible.